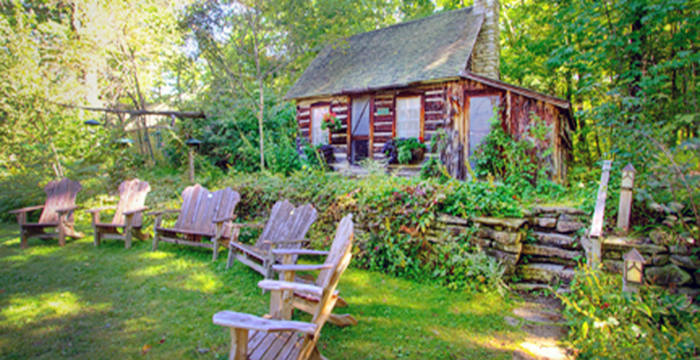 The Clearing is a folk school for adults founded in 1935 by renowned landscape architect & conservationist Jens Jensen. 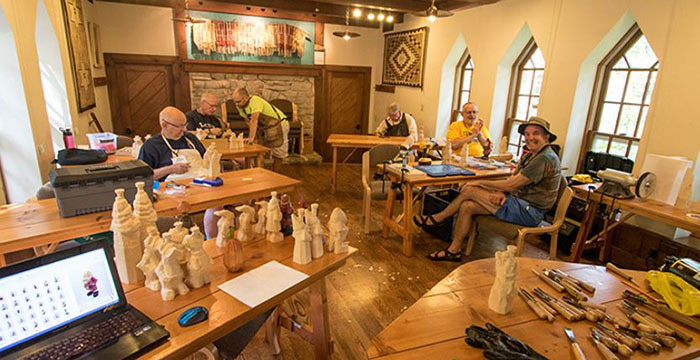 We offer classes year-round in the arts and fine crafts, humanities & natural sciences ranging from one-day workshops to week-long resident classes held in a quiet wooded setting on the waters of Green Bay. The Clearing is on the National & State Registers of Historic Places. The Visitor Center/Bookstore is open daily from 8 to 4 Monday-Friday, 12 to 4 weekends May-October. The Clearing is an independent, non-profit corporation. The Clearing was founded in 1935 by Jens Jensen, a Danish-born landscape architect. Many consider him to be the most important American landscape architect and The Clearing his "great work." According to Jens Jensen, "Instruction at The Clearing is non-competitive - there are no credits, no grades, no degrees, no pitting of one student against another." This method of teaching is what the Danes called "The Living Word." Discussion, conversation, nature study and hands-on work are emphasized, rather than learning just in the classroom, through reading and writing. The folk school experience at The Clearing is a unique combination of learning, history, tradition, social interaction and quiet reflection. Today, The Clearing offers classes in natural sciences, fine arts, skilled crafts and humanities. 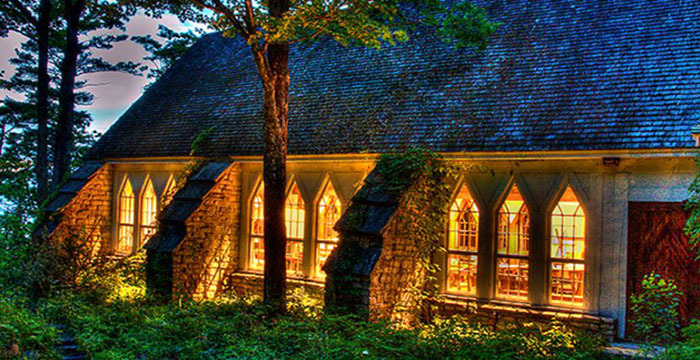 These programs fulfill Jens Jensen’s dream of a year-round folk school in a natural setting. 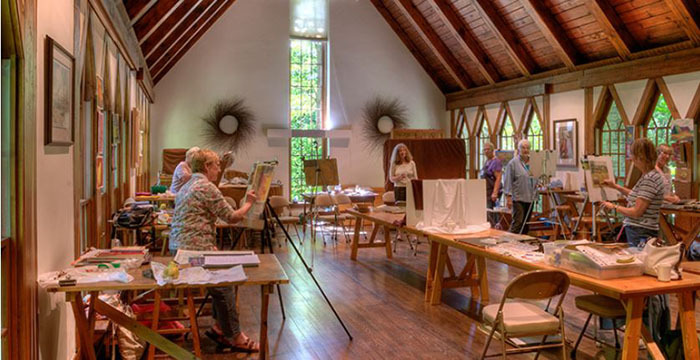 The Clearing offers a wide range of classes, including painting, writing, quilting, birding, wood carving, poetry, rustic furniture making, photography, fine woodworking, music, weaving, philosophy, stained glass, metal work, nature study and paper arts. All Clearing classes are taught in a relaxed, informal style. The Clearing has three main programs: Summer, Workshop and Winter. The Summer Program, which runs from May through October, is The Clearing’s oldest and the one that most closely resembles Jensen’s original folk school vision. The mainstay of the Summer Program is weeklong classes, with 25 to 35 students and instructors living at The Clearing, eating family-style meals and renewing their spirit through close contact with the native landscape. The Workshop Program includes one and two-day workshops from May through early November. These workshops appeal to a broad audience by providing shorter length classes for those who cannot come for an entire week or who want a "taste" of what The Clearing is like before deciding to take a weeklong class. The Winter Program offers 80 to 90 day classes in January and February, geared primarily to Door County residents. Most Winter classes run multiple weeks, one day per week, a few hours per day. Many Winter Program classes are held at The Clearing as well as local homes and businesses of the instructors. All Winter Program classes are taught by community volunteer instructors. Before founding The Clearing, Jensen achieved international recognition for designing many of Chicago’s parks and the private estates of Armour, Florsheim, Ford and many other American industrialists. He was a driving force in establishing the Illinois State Parks system and the Cook County Forest Preserves. He also founded the Friends of Our Native Landscape, an organization that was instrumental in preserving important natural areas throughout the Midwest. In Door County, Jensen was instrumental in getting Ellison Bluff and Door Bluff Headlands County Parks set aside for future generations. Jensen began acquiring the property that would become The Clearing in 1919 for use as a summer vacation home. Then, in 1935, at age 75, after retiring from his Chicago business, he achieved his longtime dream of establishing The Clearing. Foreseeing the effects of the automobile and the vast development of cities, Jensen founded The Clearing as a place where city people could renew their contact with the "soil" as a basis for life values. Today, many people come to The Clearing for this same sense of renewal and to be able to better manage the stresses and strains of everyday life in a complex and fast-paced world. Jensen believed that environments have a profound effect on people and that an understanding of one’s own regional ecology and culture is fundamental to all "clear" thinking. These precepts continue to guide the programs at The Clearing. Classes involve direct experience with nature, creative expression, thoughtful study and contemplation.